Dropping temperatures and snow in the forecast mean it’s finally time to get our winter sweaters, coats, and boots out of storage. And just like how you update your wardrobe for winter, you should also update your skincare routine. Changing seasons means changes in your skin’s behavior and needs. 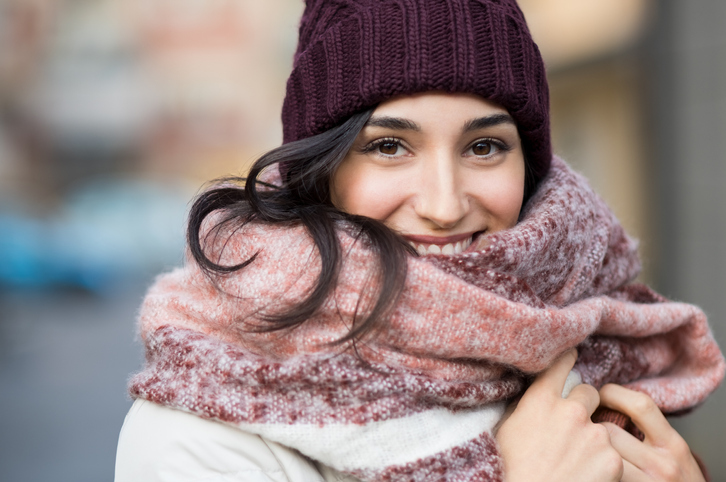 In the case of winter, skin needs some extra help to keep it healthy, hydrated, and glowing. Keep reading to find out how to transition your skincare routine for winter. Frigid temperatures, dry indoor heating, and gusty winds can leave your complexion dry, flakey, and irritated. With these kinds of conditions, your regular moisturizer just isn’t going to cut it. During the winter, skin requires a daily moisturizer formulated with humectants. Humectants are special ingredients that keep skin hydrated by drawing moisture from the air into the skin. We use the effective humectant glycerin in our Day Cream. Glycerin also reinforces skin’s natural protective barrier, defending it against the irritation that’s so common during the cold winter months. Foaming cleansers are great for deep cleaning and degreasing skin during the summer. However, this type of cleanser can also strip the skin of its natural moisturizing oils. During the winter, skin produces less oil than usual. Thus, foaming cleansers are too harsh for use during the winter. Swap out your foaming cleanser with a gentle gel-based cleanser. Using an oil-based makeup remover at night will also help to add moisture back into the skin while cleansing. While a long, hot shower or bath may feel like exactly what your body needs when the temperatures hit below freezing, it’s just not good for your skin. Long exposure to hot water pulls the moisture from your skin, leaving it more parched than before. Instead, stick to shorter showers and use warm water instead of scalding hot. When you step out of the shower, apply a nourishing body lotion like Herbacin Kamille Body Lotion with Argan Oil while skin is still damp to lock in hydration. Colder temperatures mean running the furnace more often. However, indoor heating dries out the air in your home. Dry air pulls draws out of the skin, leaving it parched. Counteract the effects of dry indoor heating by using a humidifier. A humidifier adds moisture back into the air so skin can stay moisturized. We recommend running it at night to keep skin from getting dried out while you sleep. Aim for a humidity level of 40-50% for optimal skin hydration. 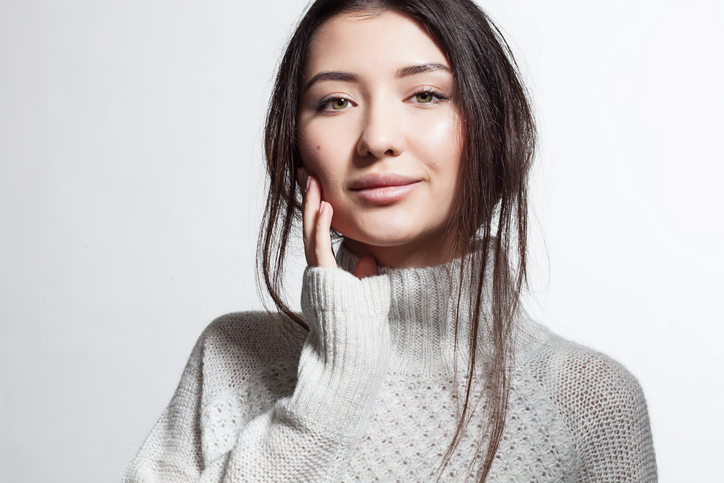 The best way to treat dry winter skin is to prevent it from happening in the first place. Thus, the sooner you can begin putting these tips into practice, the healthier your skin will be. However, depending on where you live, winter might already be in full swing. If you haven’t been careful with your skincare routine, you may have already damaged your skin’s natural protective barrier. Symptoms of a compromised protective barrier include redness, irritation, stinging, and rashes. If this is the case, treat your skin as gently as possible for a couple weeks. Avoid products with heavy duty active ingredients (like those in strong anti-aging or acne products). If your skin doesn’t recover on its own, it may be time to visit your dermatologist for a prescription to restore the skin barrier. How do you protect your skin during the winter? Let us know in the comments!